Reach 20000 points within 120 seconds to complete the level. 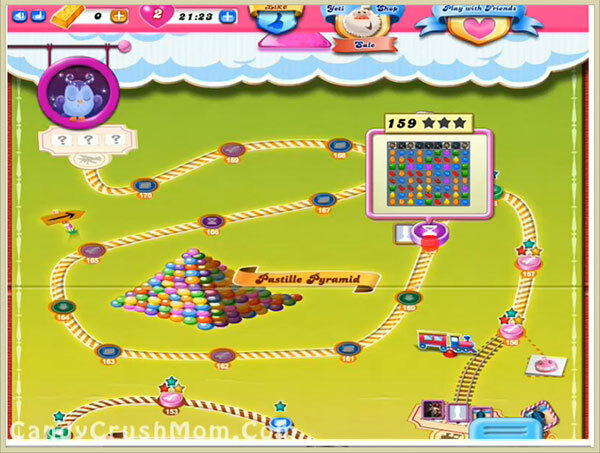 This level has hard difficulty and four chocolate machines are on top that will create chocolate automatically and stop candies to appear on the board. For this level you need to play more from top to break jellies or make special candies anywhere you get. As you will break special candies you get few time bonus so break as soon as possible to get required score.